The most remarkable stories surrounding the Swiss Army knife have never come from the iconic company. They come from the people who own one or two or more. You can't make this stuff up. Whereas one Swiss Army knife owner will recount how his knife was used to fix the loose stud bolt on train brake hose while traveling the Swiss mountain region of Puschlav, another will attribute it to saving his life when he was able to cut a shrimp net rope that tangled around his leg near Galveston Bay. Even those stories that don't have a dramatic bent carry memories and meanings. It's all part of the allure of Victorinox Swiss Army. For more than 100 years, the iconic brand has remained reliable and relevant. Even today, the company is all about pushing forward. 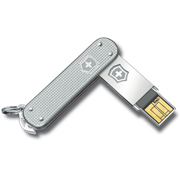 Sure, not everyone will invest thousands for a Victorinox pocket knife that sports a 1 TB flash drive. But the very idea that someone could make one and have the foresight to include a bladeless body for air travelers is remarkable. It also inspired me to look deeper into more affordable thumb drives, after receiving one as a gift. Victorinox SLIM Flight USB flash drives are the ones you want to own. With so many flash drives out on the market, including the millions that some companies give away as promotional tools, few people want to invest in flash drives. That all changes when you own even one. The high-performance USB flash drives that carry the iconic shield aren't throwaways. They're secure. Every USB drive comes with data encryption secured by your personal password (Windows). In fact, the company says that not only is the encryption secure, but each one carries a self-destruct function. The handles themselves are made of aluminum or polyamide casings, with the most recent change being the size. The casings themselves have never been slimmer, fitting easily on any keychain. The SLIM models weigh less than half an ounce. The hatched pattern gives the casing a grip. And the drives themselves are both waterproof and shock-resistent. The drives themselves also carry as much data as they say they carry, maybe a little more if you own a Mac and delete the included software. The drives are pretty fast, saving all sorts of files in seconds and without data corruption. But what I like best about the flash drive is that there is no mistaking it's yours (and you're less likely to lose it). That's the way it goes with quality. It lasts longer and you're that much more likely to keep it. Who knows? Maybe the next Swiss Army stories won't just be about how dads hand them down to sons, but also about some content rich files that came along with them. Or maybe it will come from mom. Victorinox was named in memory of Karl Elsener's mother, Victoria. 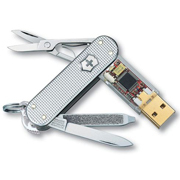 Victorinox Swiss Army Flash Drives Shine 6.8 On The Liquid Hip Richter Scale. I received my first Victorinox Swiss Army flash drive as gift a few weeks ago (so price wasn't a concern). When I went to buy a second one on my own, shopping around carries a benefit. 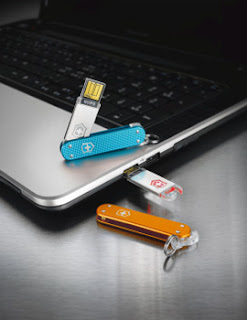 To date, I haven't seen any other flash drives that carry the same level of portability, durability, and I imagine security for Windows PC users. 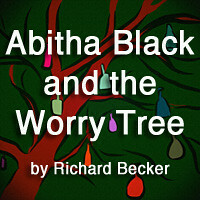 In fact, I would have likely scored it higher if I could have taken advantage of the software. While availability might vary, one of the best places to look for Swiss Army gadgets is the Swiss Outpost for savings. For a variety of flash drives, savings ranged from 30 to 45 percent off. The most memory available was the 32 GB Victorinox SLIM Flight Silver Alox, even though Swiss Army does offer 64 GB models. There are other colors however, including orange, blue, pink, and translucent red.